EA Sports games are no joke. The sporting titles are a billion dollar cash cow for the developer/publisher, and for the most part, the company takes an “if it aint broke, don’t fix it” approach to the sporting franchises under the EA banner. Sure, there are the inevitable tweaks and additions to every new title, but rarely has the publisher changed a successful title as radically as they are changing up the Fight Night series with the newest entry, Fight Night Champion. The first major change can be seen right on the cover of the game, where the rating will now show a big “M”, for mature. The shift from Teen to Mature may not seem like a major issue, but it is the first time EA will release a mature sports title. That may signify a slight shift in tone for EA and be an indication that the publisher is focusing on mature gamers, at least to a slight degree. The second major change–and far more notable for the series–is in the career mode, which now features a fairly robust story line. You play as Andre Bishop, an up and coming fighter who winds up in prison. He is then forced into increasingly difficult fights, and branching storylines will shape his release from prison, and subsequent rise through the ranks of boxing’s elite. The story is more than just an addition tacked on to the game. Bishop is a character with a deep backstory, and the choices made in the game will define the action and the way you fight. 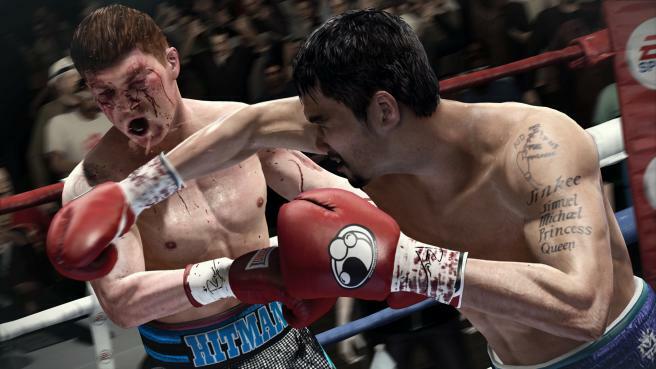 Check out the trailer below, and look for Fight Night Champion to be released on PS3 and Xbox 360 on March 1.